Boost the effectiveness of your networks by following these two simple concepts. While having network statistics is good, understanding what they mean is more valuable. 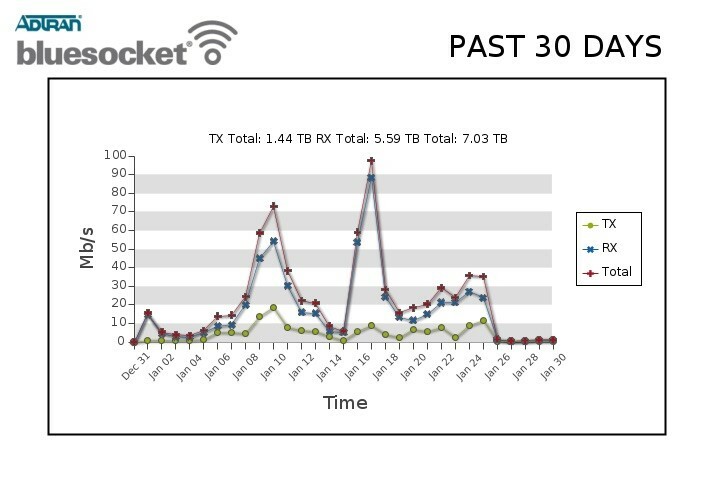 Knowing that monthly traffic consumed 7.01 terabytes of WLAN bandwidth is a case point. What does that statistic mean in context? In the same period one year prior, consumption was at 136 gigabytes, and 78.6 GB in the same month of 2016. In 2015, with an earlier WLAN solution, 62.66 GB was recorded. That 2015 network was less than ideal -- actually, it was nearly unusable, patched up with Band-Aids and limping along in a path of disrepair. In 2016, the organization redesigned the network, installing a fiber backbone with Layer 3 switches and other worthy improvements. It removed and replaced the existing WLAN in mid-December of that year. The first significant change that helped promote WLAN usage was consistency, credited to the discovery of specific issues failing expectations. The usual things included an unprotected infrastructure; weak perimeter and endpoint security; and numerous misconfigured servers and switches; as well as poor overall design. Once the users found the network to be reliable, they made more demands on specific applications and services. They added more endpoints to the network, and some applications were shelved with new ones deployed in the cloud. Throughout the year, traffic grew, and because there was no disruption, users became accustomed to a reliable service. When something did fail, users were quick to demand service while in prior years they had expected little. This situation could be explained with exuberant technical messaging, but this isn't necessary. The real solutions weren't really technology-intensive but related to two key concepts. : enablement and empowerment. "Enabling" is an interesting word that sometimes has a negative connotation. This organization enabled change, but improvements came piece by piece, with proof of successful results. It vetted each project for costs and configurations, and asked hard questions and debated about needs. As time passed, the organization approved more pieces of the solution, and within six months after many favorable results surfaced and user complaints ceased, it moved from an enabling state to an empowering state. What is empowerment? In short, "just do it." The results can be astonishing, as this customer discovered. Things just work. Traffic continued to grow on the WLAN and so did applications and use cases. The organization approved project after project -- and I don't mean to insinuate that it gave us an open purchase order. However, nearly every project tackled received a green light to proceed. This WLAN experienced exponential growth, and not because the organization has fewer hard-wired LAN connections. In fact, it has more. Are you enabling and empowering? You can do one but, without the other, your results won't be as effective. Empowering involves a degree of risk and whether you like it or not, a risk is always present.